introducing the bathey calligraphy font. Modern touch fonts that are perfect for your needs. This font is equipped with uppercase letter, lowercase letter, punctuation, number, beautiful alternate, elegant ligature and multilingual support. This font is perfect for logo design / branding, watermark photos, product packaging, and much more. 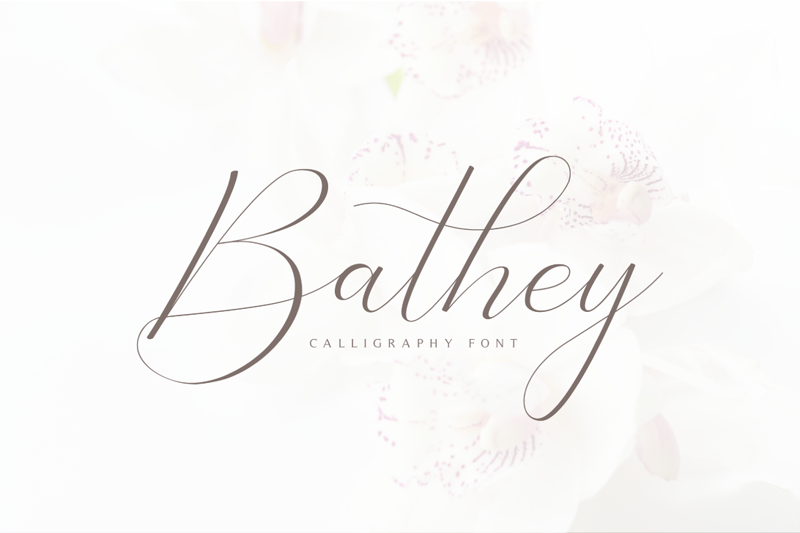 -Bathey calligraphy includes capital and lowercase letters, and beautiful alternates.